Read this article to know why a professional quality Photo Editing software is the need of your business. See what are the current business requirements which make investing in a Photo Editing software an intelligent investment. We live in a visually aware society and these days every nook and corner seems to be a visual place. Be it busy street sides, bus stands, train stations, town centres or social media, all are image-centric. Digital images are of utmost importance when it comes to competitive marketing. Advertising and marketing campaigns ensure the inclination of consumers towards captivating photos by creating alluring advert images. It's convenient to assume the business sphere is everything about products and services and its success solely depends upon the quality of products and services delivered. However, the use of photo editing software can assist a business to reap numerous benefits and build a strong presence. Let us tell you how. Every business wants to make sure images in product launches, website design; press releases and so on carry professional quality and are attractive enough to catch the eye of prospects and the general public. Enhancement and customization of images become imperative if they wish to draw substantial attention and this is where photo editing software can lend a hand. With the use of photo editing software, the marketing team can make their models' pictures perfect by eliminating flaws on photos like blemishes, pimples, and wrinkles. Using photo editing software', colour adjustment, brightness and contrast and other functions such as sepia, blurred effects, night settings and much more are facilitated by photo editing software providers like https://www.mediakg-ti.com/. Image correction techniques enabled by photo editing can easily create a distinguished brand that lingers on the customer's minds. In fact, a unique editing style with the right photo editing software is the actual secret behind today's beautiful billboards, magazine covers, and print ads. Capability to integrate image editing tricks to emphasize certain photo elements or playing around the saturation even a bit is instrumental enough to create a distinctively outstanding brand look from others. Based on your business needs, clean cropping style, focusing on an object to create visual feature gives a sense of polished branding. Photo manipulation techniques can transform even simple images into a brand signature. Almost 47% of consumers trust businesses that showcase genuine product pictures rather than stocky ones. Photo editing techniques allow businesses to build long-lasting credibility in tenacious markets. Original images on social media platforms, websites and other forms of promotional marketing that are free of blotchy noise/unwanted objects and professionally treated using quality photo editing represent the high stature of any business. Authentic, realistic and high-quality portraits can magnetize customers' attention even to a fairly new business which is tough enough given the cutthroat competition on the board. Retouching activities amidst other business operations can be daunting. But no more because of photo editing software like the one offered by MediaKG-TI. The latter provides image manipulation and customization tools that are capable of arranging plausible pictures that are ready to be flaunted on magazines, banners social platforms and all possible means of advertising. 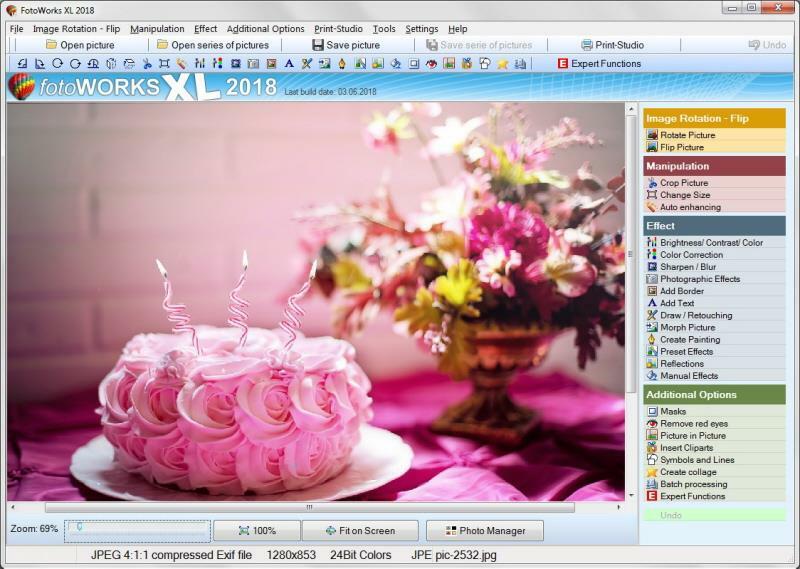 Characterizing exact photo editing parameters, applying multiple image settings, grouping and predefined settings all photo intensive customizations can be done in less time with a handy photo editing tool. Images get rendered differently on different platforms as in print ads and digital ads imagery needs to be fine-tuned to match the desired effect. Your brand images need to look consistent be it social media, smartphone, banners, billboards or simple monochrome prints. Photo editing plays an important role in creating images that can adopt a premium look irrespectively of the platform being featured on. Image properties, visual cues, backgrounds, and clubbing etc can be customized using photo editing software so that your images create the same impact on multiple platforms. Ever wondered why fast food marketing brands make sales for years? One possible reason is the visually appealing complexion and feel of food products through enhanced high-quality images using photo editing. The colour distinction, colour palette, light effects and various properties of brand images can be crafted to be particularly striking and glamorous using skilful image editing techniques in fields like gems and jewellery, real estate, tourism industry to boost the sales. By transforming mediocre images into stunning marketing images that speak volumes any business can earn eminent trading and sales benefits. Professional editing can ensure effective targeted marketing and build a reliable business brand that can flourish despite merciless competition. Investing in photo editing software potentially entrusts enormous confidence in the manner business portrays itself into the market. Visit MediaKG-TI and start the journey to build a robust business now!